Fleeing arrest after poaching one of the king's deer, Christopher Kindallis O'Bryan (80) moved to Dublin, Ireland, possibly from County Clare. As a young man in about 1769, he sailed as a cabin boy to Virginia, where he changed his name from O'Brien to Bryan. He may have gone to Madagascar first. The O'Bryan/O'Brien clan history dates back to their ancestor King Brian Boru ("Brian of the Tributes"), the pious 11th century Irish king who drove the Danish Vikings out of Ireland in 1014, losing his own life as he did so. Titles held by O'Bryan family members include "King," "Viscount," "Lord", and "The O'Bryan." An Episcopalian, Christopher had red hair and blue eyes, and stood six-four. He was a surveyor in Fincastle, Greenbriar County, WV in 1769. As early as 1770 he was on a jury in Virginia. About 1776 he married Katherine Kimberland (81). He served in the Revolutionary Army (Pvt. Continental Line, Company "O," Colonel Grayson's 6th Virginia Foot Regiment) at Camp Paramis, White Plains, Robinson's Farm, and Middlebrook. Due to depletion of his regiment, Christopher later served under Capt. Cleon Moore, then Col. Nathaniel Gist and Capt. Alex. Breckinridge. Legend says that in private life, Christopher had changed his name to "Bryan" because he was a wanted man in Ireland. But Christopher's Army record calls him "O'Brien" and he later signed his name that way. His pay starts April 9, 1777. 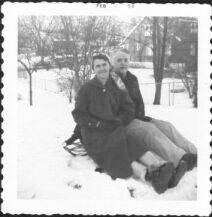 The August 11 Muster Roll noted that he was "Confined," perhaps as punishment for slipping away to see his wife and newborn baby Luke. On the December 25, 1777 Muster Roll, he is "On Scout"; April 3, 1778 in Valley Forge notes "Sick Camp"; June 6, 1778, "Unfit for D. No gun"; December 1778 "On Forage Guard" and January 1779 "On Command." Christopher's last Muster Roll was for March 1779, seven months before his son Christopher II was born. Perhaps he was released from his three year enlistment because of family duties. Lt. Quirk took a horse from him in 1781 for Lafayette's dragoons, later listing him as giving patriotic service, and Christopher was paid 33 pounds in March 1783. Court records suggest Christopher may have had a typical red-haired Irishman's temper, for on November 21, 1781, he was put in debt to the Commonwealth of the fantastic sum of 50,000 pounds. "..upon this condition that if the said Christopher Bryan shall keep the peace toward all the good citizens of date thereof, particularly toward James Byrnside, then the above recognizance to be void; otherwise to remain in full force and virtue." After the war Christopher took up surveying again and went to Greenbriar County, WV. In November 1780, he was issued a license to keep an "ordinary" in Monroe County. He signed several petitions in the early 1780's proposing new roads in the area. By the year 1784, Christopher and Katherine had six children. In 1787, he recorded real estate transactions at Great Levels and Horseshoe Bottoms in Greenbriar County, WV. But he was still headed west. A few years after the youngest child, George, was born in 1789, the O'Bryans had made the arduous trek out to Bryan's Station, KY (now Lexington). On deeds as late as July 11, 1789, Christopher called himself a resident of Virginia, but on January 9, 1791 he changed that to Kentucky (the state lines were also changing). Later that month, he was listed as having established a ferry across the Kentucky River from his land on the south shore to Frankfort on the other side. He owned two horses and four cows in 1794 in Mercer County, KY, formerly part of Virginia. Soon Christopher and his family moved to New Madrid, Missouri, just inside Spanish territory on the Mississippi River. Like Moses Austin and Daniel Boone, they may have been motivated to leave Kentucky because they lacked clear title to their land. They probably traveled by flat-bottomed boat, north on the Kentucky River to the Ohio River, then southwest to the Mississippi River. A 1796 Spanish document refers to his "grand familia y tres hijos hombres." Christopher expected New Madrid to become a booming trade center, but his wife Katherine Kimberland died there, and Christopher felt that he needed to leave its unhealthy climate. Then he heard he could get rich growing sugar cane, since it could now be refined. Two relatives had agreed to join him and the three families loaded everything, including the cattle, onto flat-bottomed boats. The group stopped at several points along the way, including Natchez, MS and New Orleans, LA. Commandant Manuel de Salcedo at Baton Rouge gave Christopher ("a subject of his Catholic Majesty") a passport to visit Opelousas and Attakapas to look for land, stating "that there is no objection to his keeping a tavern on certain conditions." Christopher petitioned for land on the Bayou Teche, adjoining the property of Talmadge Dunleavy, and the Spanish authorities agreed to let him settle wherever he wanted, granting him acreage according to the number of his family, which they did not specify. At last Christopher floated the boats from the Mississippi over to the Atchafalaya River, in hopes of getting rich from cutting huge cypress trees and selling them at Berwick, LA. Another story says they traveled by covered wagon from New Orleans to Berwick Bay. Christopher bought some improved land on Bayou Teche between the towns of Berwick and Patterson from Samuel Stout. By this time, France had secretly regained Louisiana through the Treaty of San Ildefonso, but Christopher got a Spanish title for 1500 acres of land on Tiger Island, where panthers roamed the swamps. The island was called the Big Woods because the trees were big and plentiful there. Christopher built a dock from which to sell cypress to passing ships, and began farming indigo and corn. He called the plantation Wyandotte, after the Indian tribe up north. He is credited with founding Morgan City, LA. On Sept. 20, 1802, he wrote, "I request you to solemnize the marriage between my son Lucas O'Brien of the one part and Rebecka Berwich of the other which I consent to..." which he signed"Your humble & old sev't, C. Kindallis O'Brien." About 1810, Christopher probably returned to Kentucky, where he is buried. Before his death, he is supposed to have asked his sons to change their name from Bryan back to O'Bryan. On April 8, 1812 the United States government confirmed a claim of 640 acres at the spot in Louisiana where he settled, but Christopher's sons were unable to get U.S. title to the rest of the Spanish grant. The Spanish grant "according to the number of his children" had not specified that number, and the government ruled that Christopher had bought Stout's improvements without necessarily gaining title to the land. His son George married Eleanor Merriman. Four of Christopher's children married four children of Thomas Berwick, who were about their same ages. 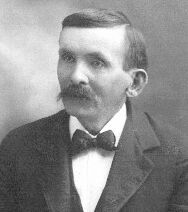 George O'Bryan (40), Ruth O'Bryan's great-grandfather, was born in 1789 at Fincastle, Greebriar County, West Virginia. He was a veteran of the War of 1812, serving as a private in "Capt. Shadrach Porter's Co. of Infantry, 15th Reg't Louisiana Mil," for which he was paid $18.58 for two months service. George was married three times. He married Eleanor Merriman (41) on Sept. 14, 1814 in Vermilion Parish, LA , where they lived until her death in 1828. In Louisiana, he and Robert Perry shared in various land and slave auctions. Moving to Texas, George and his children settled on the Neches River at what is now Beaumont, TX. His son Daniel O'Bryan remained in Louisiana, and George returned there in 1832 to marry Eliza Ann Bryan. But she died in 1833, shortly after the birth of their only son, George Washington Bryan. 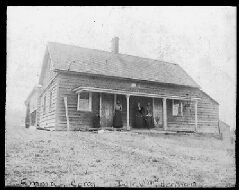 The town of Beaumont was laid out in 1837, and three years later, in 1840, George O'Bryan married Nancy Millard there. That same year, with S.H. Millard, he bought the two-story Millard store on Austin and Water streets in Beaumont near the wharfs of the Neches River and present-day Riverside Drive. 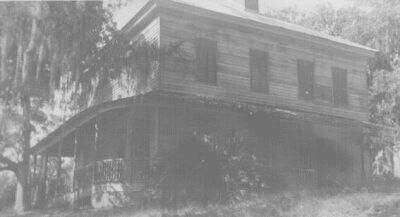 His store in Beaumont became known as Cave Johnson's tavern after he sold it on June 11, 1853 to his son George Washington Bryan and Cave Johnson, who nearby planted what is now the huge "O'Bryan Oak." In 1846, George and his wife Nancy moved to Pt. Bolivar, across from Galveston, where the 1850 Census found him. Ever since the days of Jean Lafitte, the Bolivar Peninsula had been an entry point for smuggling cargo and illegal slaves into the United States, since the U.S. Constitution forbade the importation of more slaves. George's occupation was more innocent. He owned and operated the Galveston and Sabine Bay Stage, transporting cattle, crops, coffee and mail through territory threatened by predatory bands in the early days of Texas. 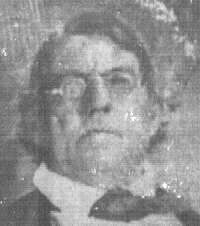 George died about 1858 in Galveston or Chambers County. His 1858 will stipulates that after his death "the negroes are to be hired out and the property rented" and bequeaths his entire estate to his third wife Nancy Millard and their small children, saying, " I love all my children... (but) my other children are all old enough and competent to support and take care of themselves." He signed that January will with an X, but signed a codicil in February 1858, weakly, "Geo. O Brien." Daniel O'Bryan (20), George O'Bryan's son and Ruth O'Bryan's grandfather, served in the Louisiana legislature, the Constitutional Convention of 1845 and the Secession Convention of 1861. From 1839 to 1841, he was postmaster of Lafayette. On March 22, 1841, the Lafayette Police Jury (similar to a county commissioners court) appropriated $1000 to Daniel, giving him one year to "arrange and put in proper order the papers and documents of the Parish Judge's office." The next March, the commissioners approved his work and appointed him as one of three administrators of the parish schools. In June they paid him $1900 for his work. Daniel resigned as school administrator in June 1843, the same month he married Mary Alzenith Perry and began managing his father-in-law's businesses. By 1849, he was guardian for his young half-brother George Washington Bryan, who had lived with Louisiana relatives since he was a baby. But a whipping from Daniel prompted 16-year-old "Wash" to move back in with his father in Texas, where he later became a Civil War captain and drilled for oil at Spindletop. In 1850, after studying law under Joseph W. Walker in Perry, LA, Daniel was admitted to the bar and practiced law successfully in Abbeville until his death. He served as Clerk of Court in Abbeville, where he signed legal documents "D. O'Bryan" (some of them in French). He also advertised his law practice in the newspaper in French. As president of the Vermilion Parish Democratic Convention in 1856 and 1857, "he made many lively and powerful speeches." 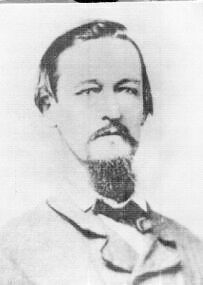 During the Civil War, Daniel was a colonel in the Louisiana militia, an enrolling officer for the Confederate Army. Though a letter written May 8, 1861 suggests that he didn't fight in the Civil War himself, in fact he signed special requisitions for supplies on July 31, 1864 and October 1864 "in the field" for the "VAAQM, 2nd Regiment N.C. Cavalry, Barringer's Brigade," as a lieutenant. Arrested on October 18, he was transferred with other prisoners of war to New Orleans under the custody of Capt. J.B. Gorsuch. He was a prisoner for two years, at one time being held on Basil Crow's cooper ship with several other prominent Louisiana residents. By now, probably through his wife's influence, the O'Bryans were no longer Protestant, as Christopher O'Bryan had been. Daniel lived on the Vermilion River opposite Perry's Bridge in Abbeville on Rue Louisianaise, on the corner of Boulevard St. Victor. Rue St. Charles ran behind the four-lot tract, with 180 feet frontage on each street and 280 feet deep. He died there one Sunday morning after breakfast, while his daughters were singing in the choir at the Catholic church, which they attended by boat. He is buried in a white marble tomb (missing one corner) in the Perry/O'Bryan Historical Cemetery, near his father-in-law Robert Perry, whose estate he served as executor. 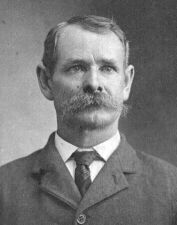 His sons included Oliver Henry O'Bryan. At his death in 1872, besides his main residence, Daniel owned two more lots on the other side of Boulevard St. Victor, which therefore ran through his property, plus three more lots elsewhere in town. Elsewhere in Vermilion Parish, he owned 123 acres on Grosse Isle, partly wooded, 180 acres near the River Mermenthau, and six other rural parcels. Besides the land, his estate auction included, "one set of sugar rollers, two pairs of corn millstones, one eight-day clock, one Colt's Navy Revolver, one lot bar-iron, one iron turning lathe, one iron axle, one cross-cut saw, one lot of paving brick, one lot of sheep, one lot of wild horses and mares, one lot of gentle cattle and one branding iron." 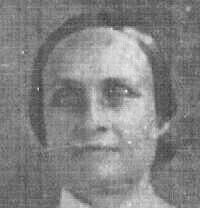 Daniel O'Bryan's wife, Mary Alzenith Perry (21) was the first child of Robert Perry to convert to Catholicism. Shortly before going to school at the convent on Grand Coteau, Alzenith was pressing collars at home while her little sister Amanda played nearby. As she worked, 13-year-old Alzenith wondered about the chance that her sister, who was sick, might die without being baptized. "Well, I think it is better to be on the safe side," Alzenith decided, and using the water with which she was sprinkling the clothes, she christened the two-year-old, who did later die. Alzenith became a Catholic at school within a few months. On the day of her baptism, some of her teachers asked if she was happy. "Happy!" she replied, "I hear, I feel, I see nothing but Heaven opened and Hell closed." She experienced many trials and sorrows during her life. Married at eighteen, she and Daniel had eleven children, three of whom died as children. Her sister Augusta called her Alzenith but wrote her name "M.J. Alzenith Perry," and Alzenith's marriage license calls her "Marie J. Alzenith Perry." After Daniel O'Bryan died, Alzenith made trips by train from Rayne, LA to Texas to pay taxes on land there, until by 1878 she was too feeble to do it. She was bedridden for several years before she died of tuberculosis. Her daughter Mary remembered that she owned land in Hardin County and Liberty County, TX (the latter was 315 acres). Relatives presumed the land had been sold for back taxes, but descendants of the Jones branch recently discovered some of the Liberty County property still remained in the family (with a lot of unpaid back taxes due). 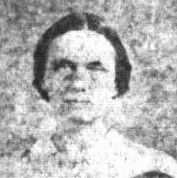 Mary Ellen O'Bryan was the eldest daughter of Daniel O'Bryan. She met her husband Joseph Devereau Jones, a Union soldier in the 1st Louisiana infantry, while he was guarding her father, who was a Confederate prisoner of war in New Orleans. Joseph had begun his military service in the Connecticut Infantry, but resigned to accept a commission in Louisiana. Somehow love sprung up between the "Blue and Grey," but marrying a Yankee strained relations with Mary Ellen's family. Still, the couple remained in Louisiana, where all five children were born, moving from Perry's Bridge to Donaldsville. Then, in the 1880's they moved north to Hastings, Nebraska where Joseph's half-brother was head of a school for the blind. On January 26, 1906, when Mary Ellen was 59, she wrote to her sister Nannie that nobody had given her details of her brother Oliver Henry's death a month before. "Won't you write? It makes me feel sad when I see the family drifting away and the hopes of seeing you all once again is growing fainter." Her husband Joseph was a schoolteacher and became Superintendent of Schools in Hastings before his death in 1900. Mary Ellen continued to live at their home on 1219 Kansas Avenue until she died in 1926. Percy Jones (baptized Marius Percival Jones) became a schoolteacher as a young man, as his father Joseph Devereau Jones had been. He was born in Donaldsville, Louisiana in 1877 and came to Hastings, Nebraska with his parents before he was ten. He had a diverse career. He taught school briefly in the Philippines and later in Africa. In 1915, he married Clara Edith Postel at her home in Independence, Iowa, but they returned to Nebraska three years later. They had two children, Lois Lorraine Jones and Lloyd Kenneth Jones. On Feb. 18, 1920, Percy was appointed District Commissioner in Liberia, West Africa. Percy's wife and infant daughter remained in Omaha during 1921 and 1922. When he returned from Africa, Percy gave up teaching and worked as a raiload conductor for the Pullman Company until his retirement about 1943. His Elgin stopwatch still keeps time. Percy and Clara retired in California, where Percy died in 1951 and Clara died in 1962. Their daughter Lois married Theodore Joseph Russell. D'Evereau Aubrey Jones, the firstborn son of Joseph Devereau Jones and Mary Ellen O'Bryan, was born on June 14, 1872 in Vermillionville, LA, now Lafayette. 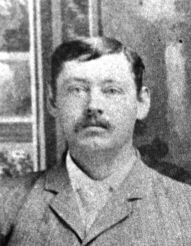 He was living near Hastings, Nebraska, when he met and married Clara Wilson. 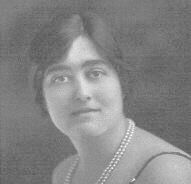 They had six children, Albert, Clara (who died young), Irvilla, Lorene, Alice, and Helen. While at Hastings College, Irvilla met Kenneth W. Smith, a fellow student from Osceola, Nebraska. Their three children were David Allen Smith, Lonnie Kay Smith, and Jack DeWitt Smith, all of whom are now grandparents in their own right. David had three daughters, Lonnie Kay (Connie) had seven children and Jack had three sons and one adopted daughter. Oliver Henry O'Bryan (10), the fourth son of Mary Alzenith Perry , was a successful farmer near Perry, LA until he was 20, then learned to be a carpenter, then learned to be a barrel-maker for sugar manufacturers (in two years), then became a salesman. Like his father Daniel O'Bryan, he became involved in politics. For four years Henry was justice of the peace. Then he became deputy clerk of the district court under Lastie Broussard for some years. Finally he was appointed Parish Assessor beginning in 1889. His son John remembered farming with his father before John became a publisher. Oliver later served again as justice of the peace, the title he held when he performed his nephew Bayard's wedding in 1903. Henry and his wife Ruth Abigail Nourse had eight children, including Ruth O'Bryan. Perrin's History of Southwest Louisiana says about 1890, "Mr. O'Bryan is a young man of prepossessing appearance, and the confidence which he has established between himself and the citizens of Vermilion parish make him their probable subject of the future honors of her people." But both he and his wife died in their 40's. He was the reporter in the K. of H. lodge and was a staunch member of the Catholic church, where his funeral was performed. © 1996-2004, Michael McGinnis, Bryan, TX MIDIs sequenced by Barry Taylor and Lesley Nelson.